Its exhilaration like you have never experienced before. 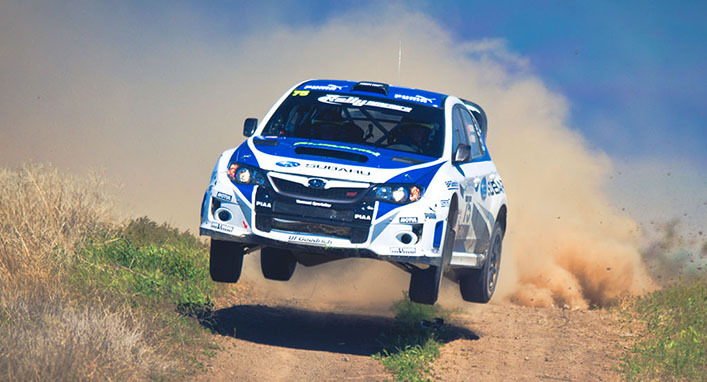 Rally racers are internationally considered the best in the world – rain, sleet, snow, rocks and trees are just a part of their ever-changing track. Learning to rally drive from pro racers will increase your heart rate as fast as it increases your skill and confidence behind the wheel. Circling around an Indy track this is not. Nor is this a ride along, amusement park photo op or driving school classroom coma. This is YOU learning to left-foot break, slide around a slalom course with complete precision, J-turning, pendulum turning and pulling a reverse 180°. By the end of this comprehensive course taught by some of the industry’s best, not only will you be rallying yourself, you will drive with the kind of confidence you didn’t even know you should have… and, when the next Bond movie comes out, you’ll be ready. Ladies, this is not just for the guys. The brite spokes girls killed it on the track and so will you. So, ladies and gentleman, time to put the pedal to the medal and go flat out!